I’m quite sure that at some point in your life you’ve encountered antibiotics. Most doctors and GP’s are quick to prescribe them for a variety of ailments or infections from the flu to more serious bacterial infections. They are also often used as a prophylactic before going into surgery as a means of preventing bacterial infection. Antibiotics have been around since the early 20th century and were discovered by a chemist called Alexander Fleming in 1928 when he managed to create Penicillin from naturally occurring mold. The drug marked the creation of a new era of medication, one where bacteria and bacterial growth was no longer left to our body’s white blood cells, but could now be treated by external medication. However, as with every medical or technological innovation, there is always the issue of adaptation which needs to be addressed at some point or another. In 1945, when Fleming gave a speech at the Nobel Awards, he pointed out the main issue of antibiotics – the fact that under dosing could lead to drug-resistant bacteria in the future. In reality, this turned out to be more of a prediction than anything else – as today we can factually state that on average, 25,000 Europeans alone die each year from drug-resistant viruses. We tend to forget that bacteria are living organisms and can adapt to the conditions that they experience. So this meant that in the past, viruses and bacteria developed at a slower, more natural rate than today. In turn this meant that our bodies could adapt to the viruses and treat them internally – with our own internal defense system. This also meant that natural treatments were more effective on their own. The other downside of using antibiotics is that they not only kill off bad bacteria and prevent bacterial growth, they also kill off most of the good bacteria that we need to stay healthy. One could write an entire essay on the difference between good bacteria and bad bacteria, but in short – it’s all about balance. Too much of certain bacteria can be bad, but just enough is actually good for your bodily functions and general health. Fast forward to Oregano oil and you’ve found nature’s most well-balanced antibacterial treatment. It’s widely hailed as being better than antibiotics (by doctors and users alike) because it effectively treats the formation and spread of bacteria whilst boosting your body’s overall immune system. It’s the perfect natural substitute to conventional antibiotics and is far better to use for common ailments like the flu or minor wounds than antibiotics. In fact, if we continue to use antibiotics for the flu, we may wind up with an untreatable, drug-resistant version of it. So best to make the change sooner rather than later, or risk the rise of a deadly flu virus – which sounds like something from a sci-fi story! Oregano essential oil has been used for centuries as a natural antibacterial and immune booster. In fact, the oil dates as far back as the times of the ancient Greeks where it was commonly used to treat general pain, minor wounds and fevers. The plant itself is native to most parts of Eurasia and certain regions around the Mediterranean. The oil is rich in polyphenols, flavones and a variety of phytochemicals such as Carvacrol, Thymol, Pinene, Geranyl and Linalyl Acetate. Carvacrol is generally extracted and utilized in various pharmaceutical products or sold on its own as a medicinal product. It’s quite a potent natural antibacterial and should be used in small doses if used on a regular basis. Like most leaf-based essential oils, Oregano oil is produced from the leaves of the plant through a process known as steam distillation. Steam distillation is one of the oldest methods of distillation known to man, and the basic principle dates back to the time of Pliny – the ancient Greek historian. The leaves are harvested and dried in order to make it easier to break down the cells during the extraction process. The dried leaves are now added to a large vat of boiling water where they are left to brew for 5-6 hours at high temperatures. Over the course of this time, the steam produced by the boiling water helps to remove the phytochemicals and bioactive compounds from the organic matter. This is done through the process of evaporation. The now nutrient rich steam passes into a separate cooling chamber where it gathers and condenses. As the steam condenses, it forms droplets that then gather at the bottom of the chamber. 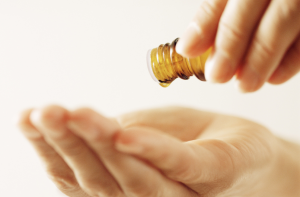 These gather again to form a liquid that we know as the final product – essential oil. Steam distillation is still regarded as the best method of producing essential oil as it produces the highest grade of oil free from any chemical or environmental impurities. 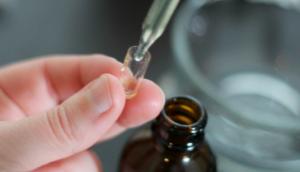 It is the recommended method for producing medical grade essential oils. Oregano is hailed as a natural anti-inflammatory, making it suitable for treating general skin irritation. Because of the rich phytochemical content found within the essential oil, it is perfectly suited for skin treatment. The oil is non-comedogenic, so it won’t block up your pores or leave a layer on the surface of your skin once applied. This also means that it can penetrate beneath the layers of your skin and help to clear toxins and bacteria from within, as well as keeping your skin nourished and hydrated for a longer period of time i.e. less risk of being evaporated. The oil can easily be used to treat minor wounds and works as a natural disinfectant. Unlike conventional disinfectants, one does not have to worry about harsh skin discoloration or irritation. It is a safe, colorless and pleasant-smelling alternative and is highly recommended for outdoor enthusiasts or for any first-aid kit/cabinet in your home, office or car for that matter. 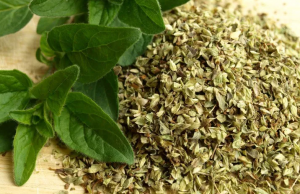 Oregano is also widely hailed as a natural anti-inflammatory, making it suitable for treating general skin irritation or redness as well as inflamed joints or muscles. So if you’re a keen athlete, tend to hike or workout often then I would highly recommend keeping a vial of Oregano oil on hand for when pain or aches strike. 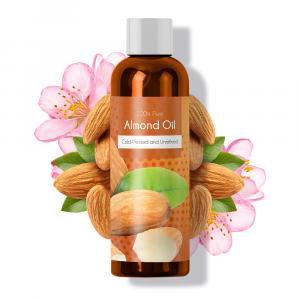 The oil seeps deep into your skin and has natural pain-relieving properties which help to alleviate immediate pain in the affected area, whilst relaxing your muscles and helping to soothe joints. Finally, the oil also helps to treat and get rid of fungal infections – such as athlete’s foot. It’s effective and easy to apply and helps to nourish your skin whilst treating the infection. Yet another reason why athlete’s or outdoor enthusiasts should keep a vial of this amazing oil on handy at all times. Oregano Oil For Hair Treatment. Many of the same phytochemicals and bioactive compounds that make this essential oil so good for treating your skin also make it effective as a natural hair and scalp treatment. The problem with most conventional hair treatments is that they generally contain a wide variety of harmful chemical ingredients such as parabens, alcohol-based solvents and sulfates. While the inclusion of these chemicals makes the products effective, they also make them incredibly toxic with extended use. Because the chemicals seep through the pores in your scalp and into your blood, they can ultimately increase your blood toxicity levels – leading to a variety of illnesses and ailments both physical and mental. On top of this, they generally tend to strip your hair of their natural oils and protein overtime, leading to dry, frizzy and damaged hair. Using natural skin and hair treatments has gained popularity in recent years because of this and Oregano Essential oil is definitely one of the best in this category. The oil is easy to apply and has a delightful smell. 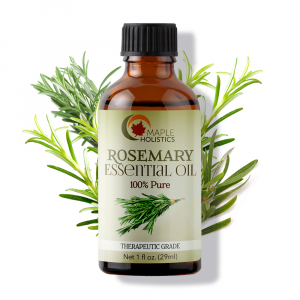 I would recommend adding it to your herbal shampoo or blending it with Ylang Ylang, Rosemary or Almond oil for maximum effect and a better, more lasting odor. 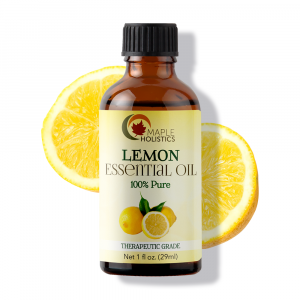 Read about essential oils such as Cardamom, Ashwagandha and Helichrysum here at Maple Holistics! The oil helps to reduce the level of sebum oil in your hair, but won’t strip your hair of its oil completely, thus leaving you with stronger more controllable hair in general. When massaged into your scalp, the oil helps to reduce inflammation and can remove dead skin cells from your scalp and hair – thus combating the signs of dandruff from the root of the issue – pun intended! I also love the fact that by massaging the oil into your scalp, you actively stimulate the flow of blood cells to your scalp which ultimately stimulates hair growth and increases your pores grip on individual follicles. With extended use you can also remove and help to prevent the buildup of free-radicals with oregano’s high level of antioxidants. These help to entrap and get rid of the free-radicals before they can bond with your cells and cause any further damage. Everyone has experienced a cold at some point in their life. 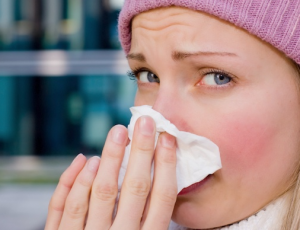 Everyone has experienced a cold or flu at some point in their life – it’s really one of the few inevitabilities of being a human. I’m also quite sure that many of us have come across the conventional cold or flu remedies – they come in the form of medications, effervescent pills or tonics. While it may be true that they do work, they often make you feel drowsy or have other side-effects depending on your personal makeup. So with time I’ve learnt to avoid them and stick to natural remedies instead. I generally prefer using Orange oil, Lemon oil (and a bit of lemon juice) and some German Chamomile oil in a warm tea to help relieve the symptoms of a flu and cold. However, because of Oregano oil’s amazing anti-inflammatory and antibacterial properties, using it as a flu and cold treatment is just as effective on its own – it’s just not as easy to consume. So I would recommend adding a few drops to a warm bowl of water and covering your head with a towel whilst you inhale the steam. Do this for at least 5 minutes and repeat the process if you feel the need to do so. This will help to flush the toxins out of your body as well as get of any congestion you may be experiencing in your sinuses. DIY Oregano Essential Oil Recipe. I looked through loads of different recipes and experimented with a few until I found this one. 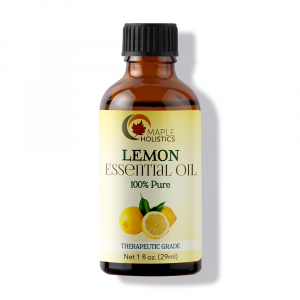 It’s easily the most natural way to produce an essential oil extract and is quite effective for general home use and even minor medicinal uses. However it’s important for me to state that an oil extract is not the same as an essential oil. It’s less refined and therefore more of a supplement than a medicinal treatment. At least 500g of pure Oregano. A glass mason jar (with a sealable lid). A large pot or saucepan (preferably a pot, as you have to fit ¾ of your glass jar inside it). 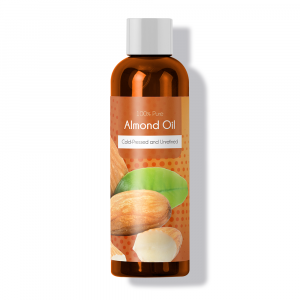 500ml – 750ml of almond oil, sunflower oil or olive oil. First, chop the Oregano into smaller pieces and add them to the glass jar. The leaves themselves should fill up at least half of the jar. Then simply fill the rest of the jar with your oil of choice and seal the lid. Now bring some water to the boil in your pot or pan. Once the water starts to boil, bring it off the heat and place the sealed jar in the water. Leave it in the water for 10 minutes. Now remove the jar from the lid and place it in a sunny windowsill. Simply leave it there for 2 weeks straight – you can move it to another window if need be, but allow it to get sunlight (through clouds or directly) as often as possible for at least 2 weeks. Once this is done, simply store the oil in a cool, dry place and shake well before use. It’s as easy as that. They can be used as daily supplements to help boost your immune system. Certain essential oils have been stored in capsules for a long time and these products are commonly found in the health food aisle of your local supermarket or in your pharmacy. Oregano Essential oil capsules are generally manufactured in large scale batches and come in a light lining that dissolves when ingested. This is one of the easiest ways to ingest raw oregano oil – as consuming the essential oil raw can be dangerous and won’t taste that great either. They can be used as daily supplements to help boost your general immune system as well as to help in treating colds and flu during those cold winters. However, it’s important to stick to the recommended dosage when using essential oil capsules as using too much can have negative effects on your overall health. It’s advisable to consult your doctor or an experienced pharmacist before using them regularly as you may suffer from an allergy. Thankfully, Oregano essential oil is one of the more commonly found essential oils on the market today – so you shouldn’t struggle to find a bottle of the stuff. The first place I would generally recommend browsing for the oil is online, as most online health stores sell their products for cheaper than what they’d cost in store. If you buy enough products, you generally get a discount on your shipping – if not free shipping. So it’s really the trouble and hassle-free alternative when it comes to shopping for health natural products. However, whether you buy the oil online or in a physical store, it’s always advisable to ask how it was produced – as steam distilled essential oils are what you should look for. They’re more suitable for medicinal use and are generally free of chemical or environmental contaminants – and therefore more healthy in general. It can have negative effects on the hormonal balance of pregnant women. Like anything in life – too much of a good thing can be bad for you regardless of how healthy or natural it is. The same applies to essential oils – if not more so. Although they are natural and organic products, they’re still rich in a variety of bioactive compounds and phytochemicals. So overuse or abusing them can still lead to skin irritations and general health issues in both the short and long terms. As a general rule of thumb – I would avoid using Oregano oil during pregnancy or on young children usually under the age of 8. 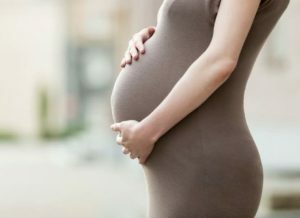 Although the oil is widely regarded as a totally safe and non-toxic natural alternative, it can have negative effects on the hormonal balance of pregnant women as well as affecting your unborn child’s health directly. The same applies to women who are breastfeeding. I’d also recommend patch testing the oil on the surface of your skin before applying in large amounts or using regularly. 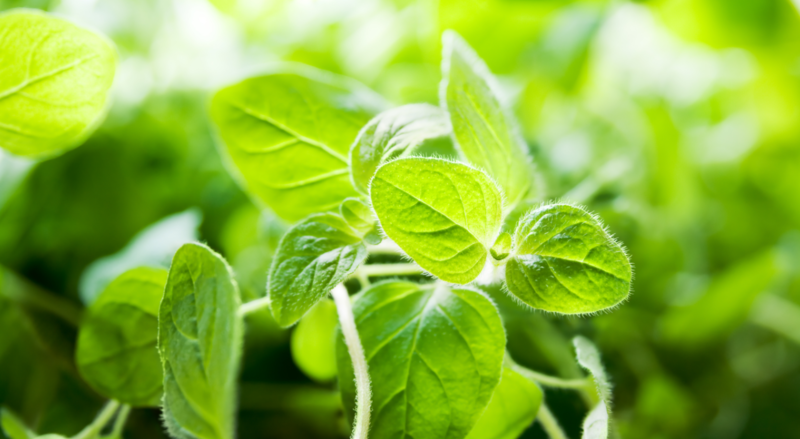 This will help to identify whether you have an allergy for Oregano or any of its chemical compounds. Unfortunately, we generally only find out about allergies once we physically have a reaction – so it’s always better to be on the safe side. 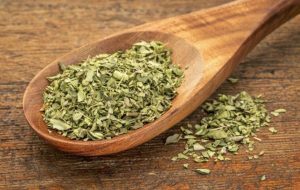 Ultimately, Oregano is something that most of us are already familiar with in terms of its use as a culinary ingredient. I say this because I feel that we’re generally more willing to try things that we’re familiar with – so it’s nothing that’s outside of your comfort zone, if you’re not one to experiment. Oregano oil is a much better alternative to antibiotics and should be used in their place whenever possible. Many in the healthcare profession believe that other healthcare professionals are too quick to prescribe antibiotics, and this is in turn leading to unforeseen consequences. So I’d recommend trying Oregano oil for minor wounds, colds and the flu instead of nuking your system with antibiotics. Like most things in life – the results speak for themselves and Oregano oil is definitely a game changer in terms of natural medicines. It’s affordable, effective and incredibly healthy – you’d definitely struggle to find a conventional medication that can do as much as Oregano oil whilst boosting your overall health and energy levels at the same time. You’ve got nothing to lose and a lifetime of affordable and natural health to gain.